This is a fabulous digital scrapbooking page kit for Hanukkah (Chanukah) and also for your Happy New Year and New Years Eve festivities. I hope you all love this kit as much as I do! *Also included is 1 bonus/surprise overlay not shown in the preview! When you TAKE a freebie Could you please LEAVE a comment on my blog! Thanks a bunch for your support! This sandy blue frame is lovely – thank you ever so much for sharing! And you do ever so well with English – I only wish I could speak Dutch even a little! Thanks, it’s al lovely frame! Thank you for sharing. I just started with digital scrapbooking with Photoshop Elements. I have to learn a lot but i’m making progress. I’m from the Netherlands so it’s quit difficult to write in English, i would like to say a few word in Dutch! Bedankt voor de freebee en succes met ontwerpen, je maakt hele mooie scrapkits! Hi! Thanks for sharing your work. I’m just starting with digi scrap but if it ends up pretty decent, I promise I’ll show you the result. Happy 2009! Love this unique frame. Thank you so much. 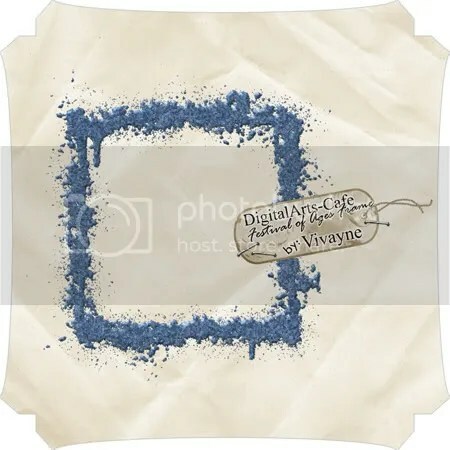 Hi Vivayne! Thanks a lot for this! Your kit is awesome! I’m going to upload something today… I also linked your blog to mine… Can’t wait to have your Heritage kit! Big Hugs and the best for you! Hey lovey this is totally beautiful I really love it, especially the colors… And I am still inlove with your heritage kit, lol thats why I did another layout….